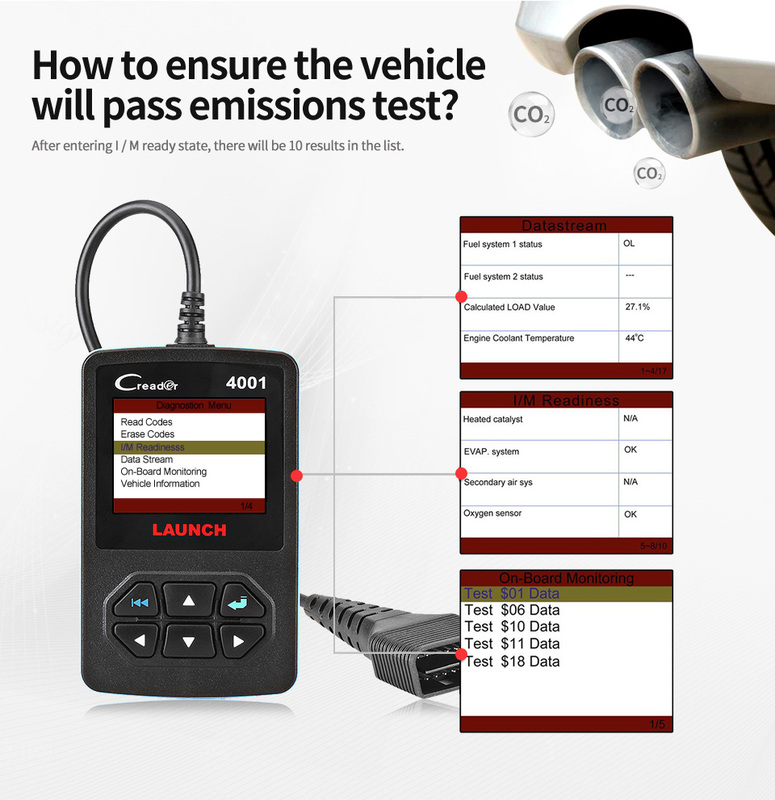 Commonly-used Diagnostic Functions:This automotive scanner supports reading and erasing DTCs, I/M Readiness Status, live data stream, turning off Malfunction Indicator Light (MIL) and others. 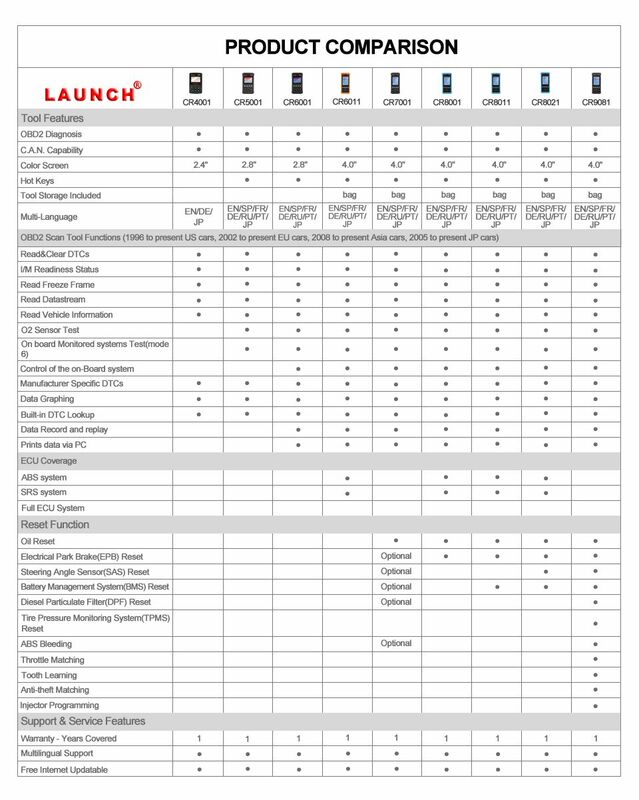 It can satisfy your basic need for troubleshooting the problems. Help you fix them quickly and efficiently. Wide Vehicle Coverage:This simple scanner can work on most OBD II & CAN Domestic, Asian and European vehicles after 1996. But your car must be OBDII complaint. 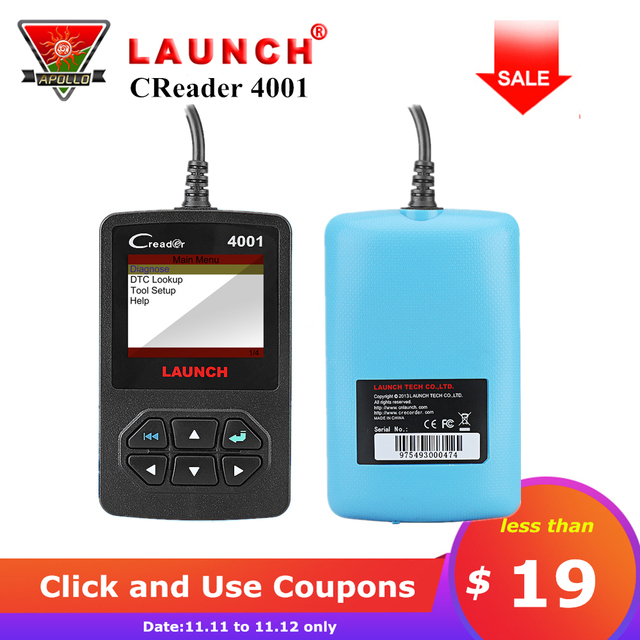 Thoughtful Design:In order to give you better user experience, the Launch CReader 4001 features a ergonomic appearance. 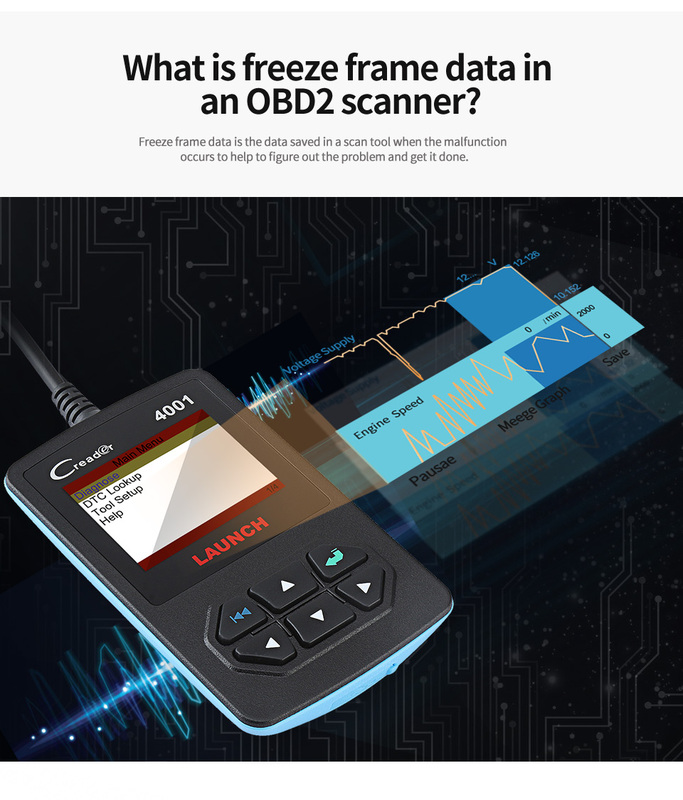 Besides, it features a 2.4 inch color LCD screen to give you the most intuitive graphical data display, and a long-tailed design of the 16-pin OBDII cable to avoid anti-break. 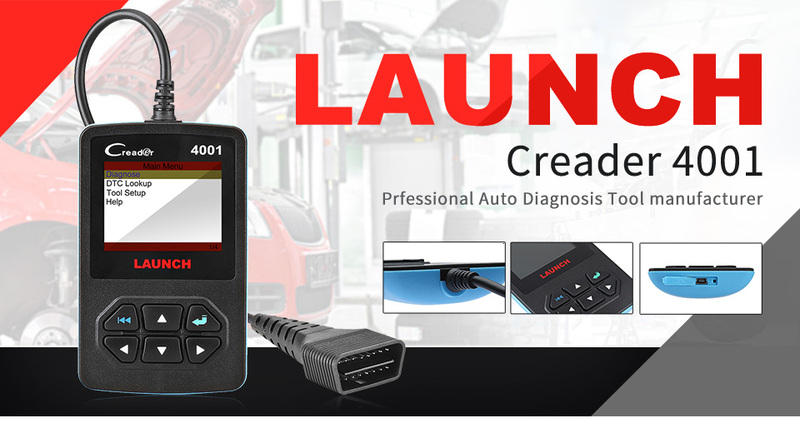 Just need to connect the diagnostic cable into th vehicle's DLC socket, the Launch creader 4001 can be powered and used. So it's convenient to use without the need for chargers and batteries. 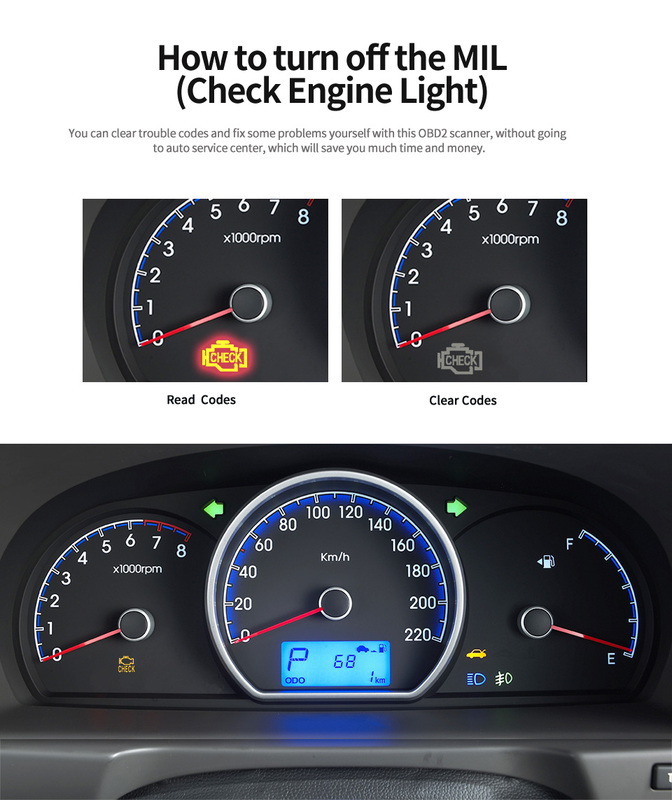 There is a DTC lookup function in this tool, and you can find the explanation of every code you read out from the car, to help you fix the problems. 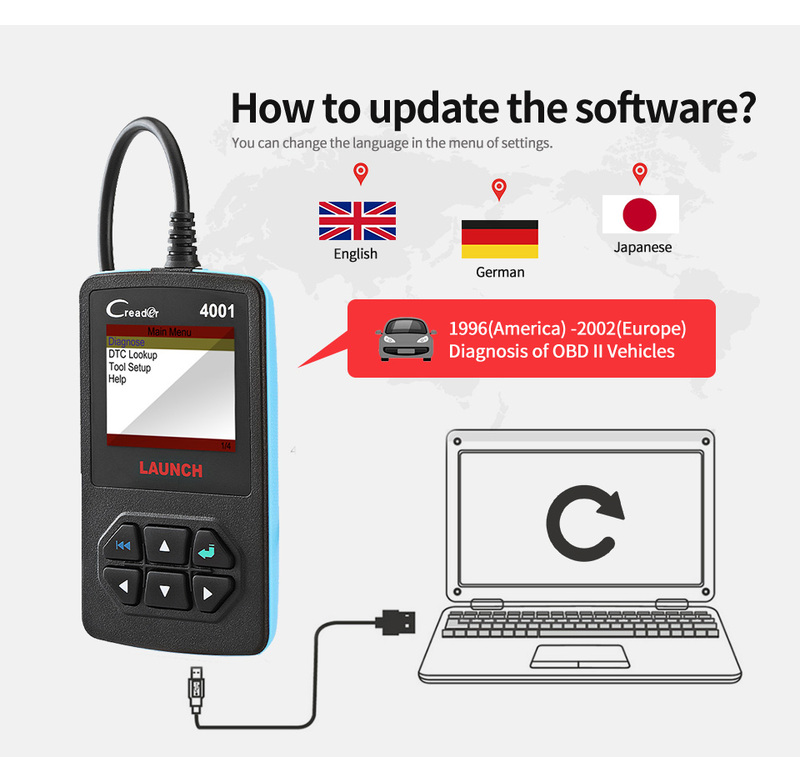 This scan tool don't need to be updated, and can support English, German and Japanese. If you get it now, you can enjoy one year warranty. Its compact size and simple operation makes it possible to take it anywhere. 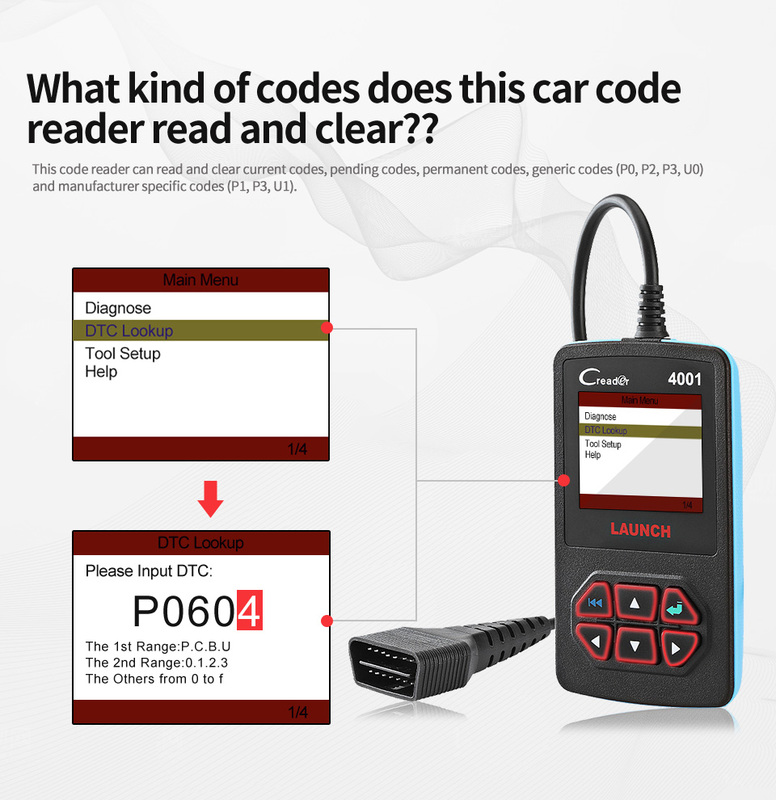 Creader 4001 is a diagnostic tool for vehicles that work with OBD II from 1996(America) to present , 2002(Europe) to present. There is no need to update the software. And it just supports 3 kinds of languages ( English,German, Japanese ), you can change the language in the menu of settings. 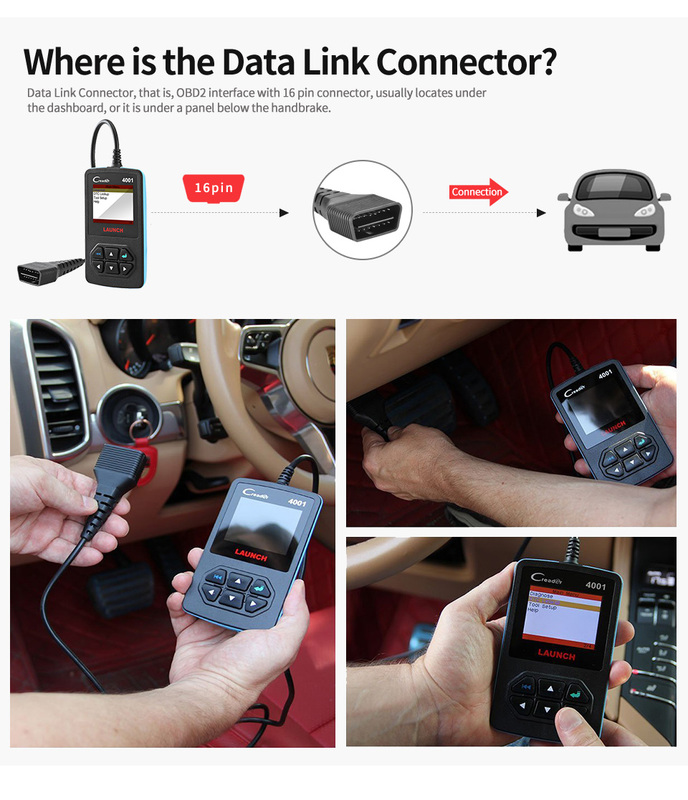 All cars that suport OBDII, USA cars after 1992, EU cars after 2002, Asia cars after 2008, Japan cars after 2005.